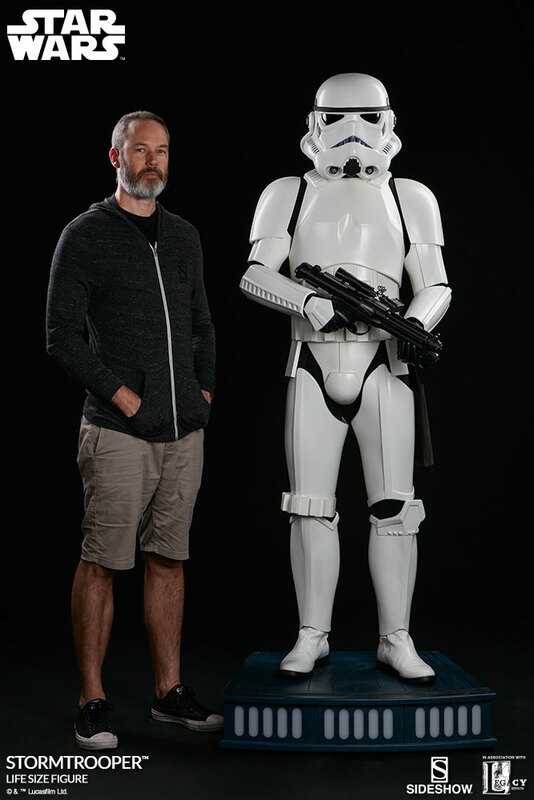 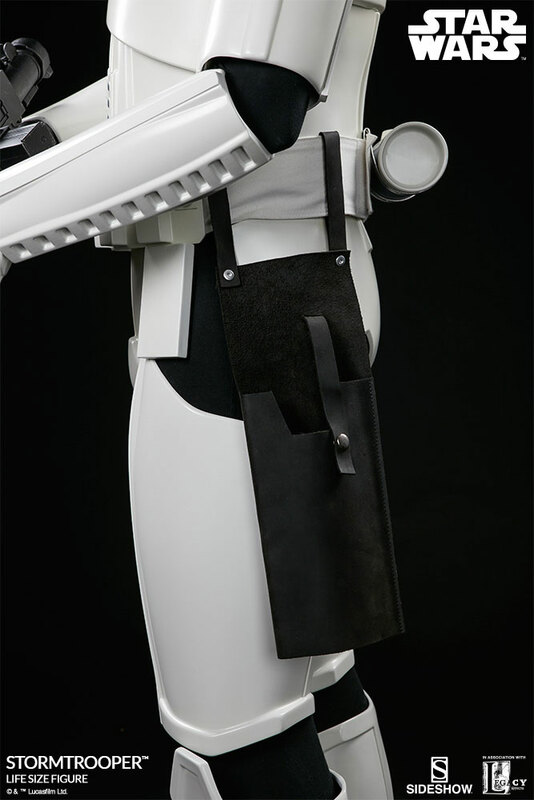 Ever wish you could rub shoulders with a life-size Stormtrooper? 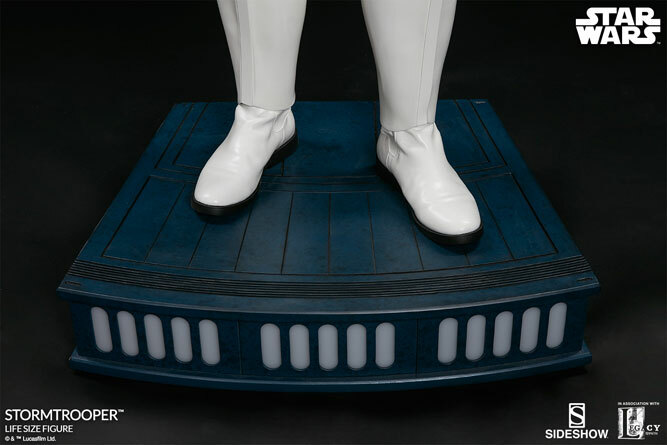 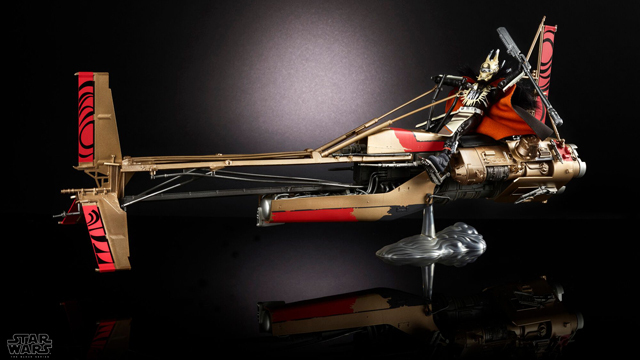 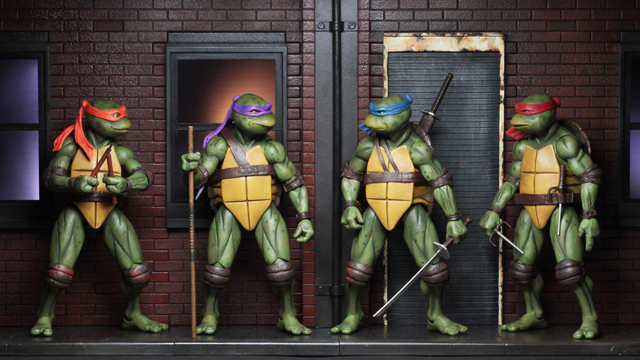 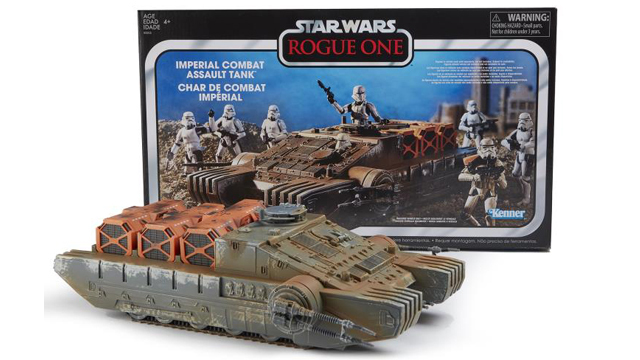 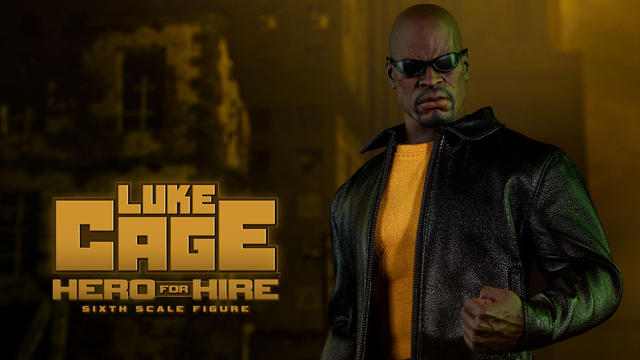 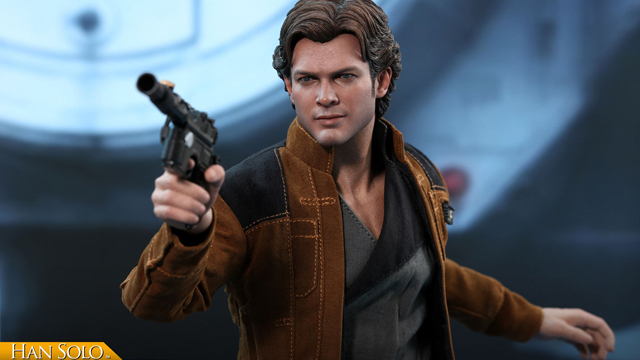 Sideshow Collectibles is making this a reality with this 6’5″ tall figure that’s marching its way into Sideshow’s Star Wars line-up next year. 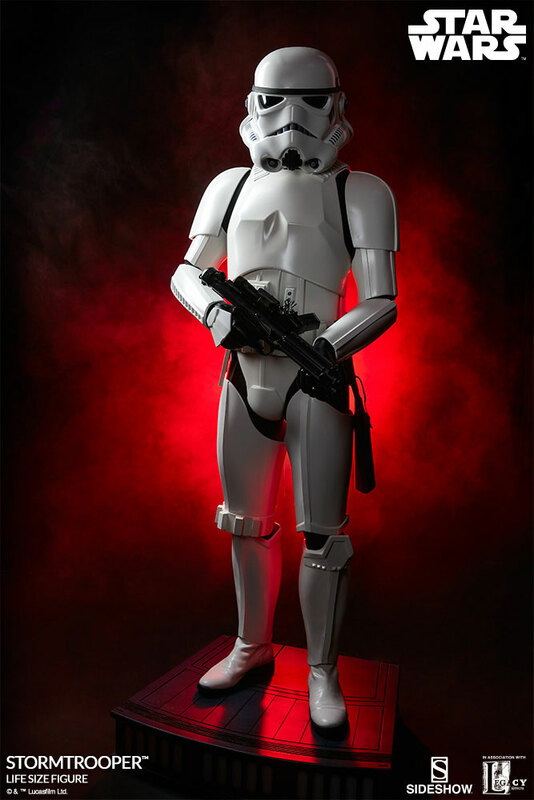 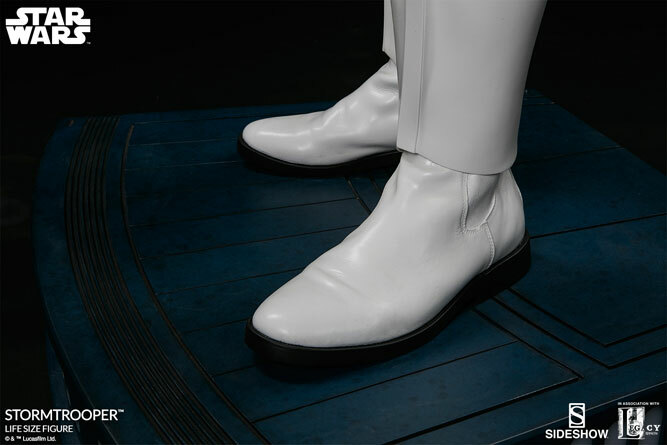 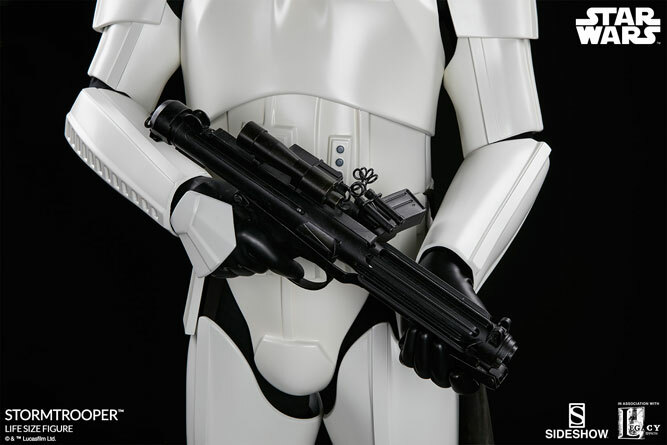 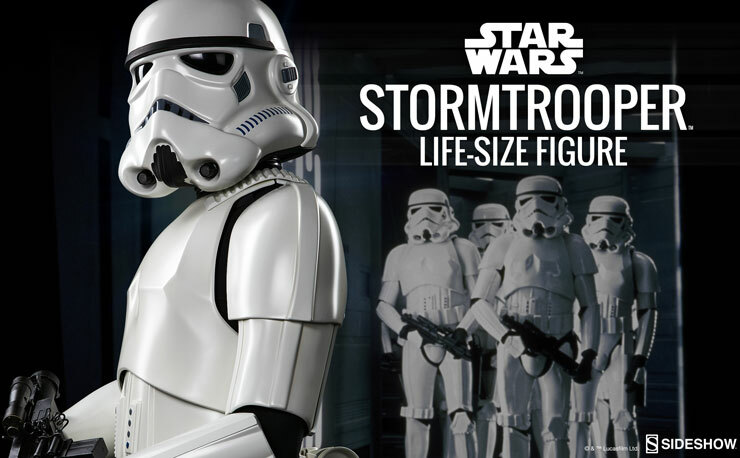 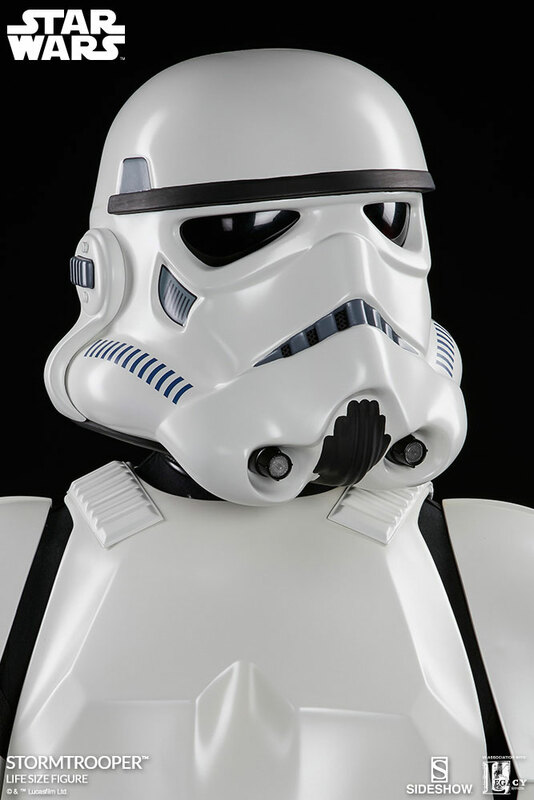 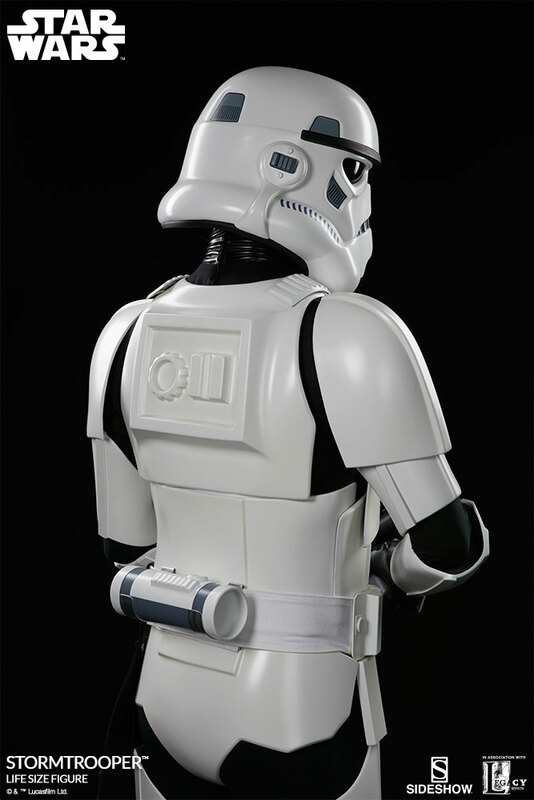 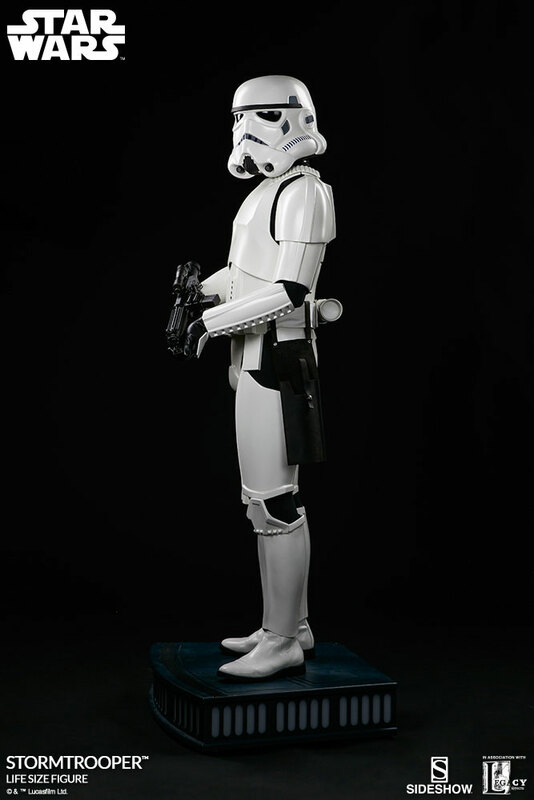 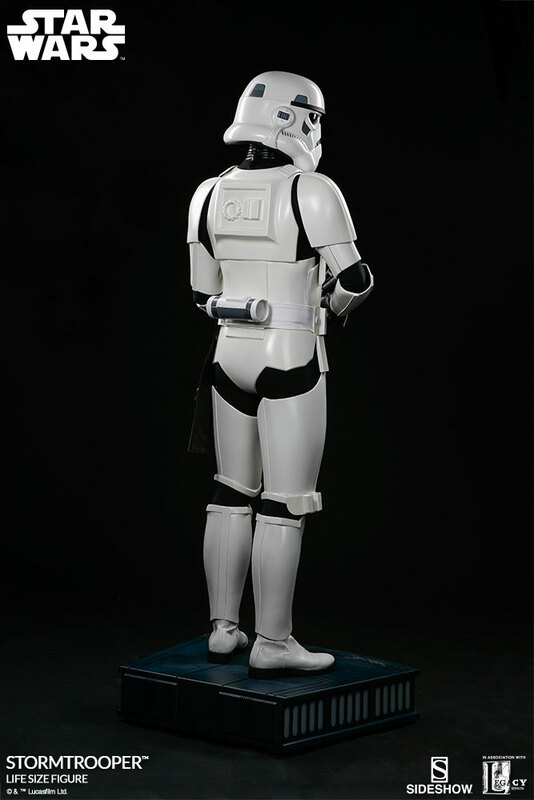 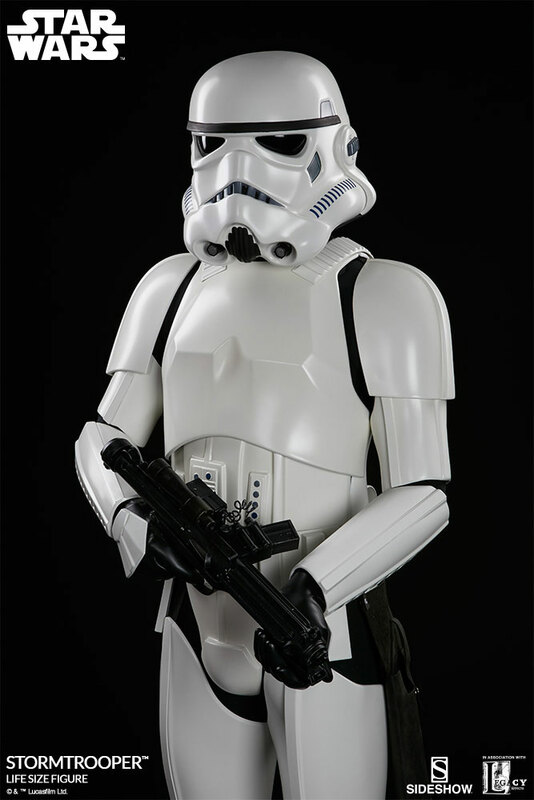 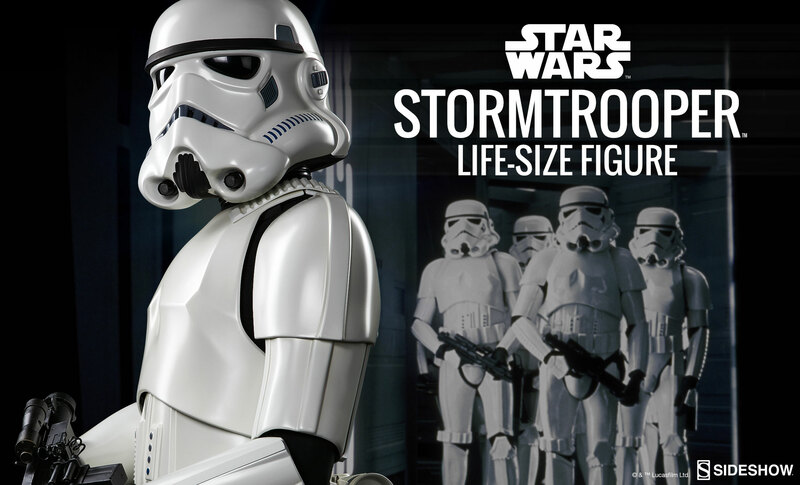 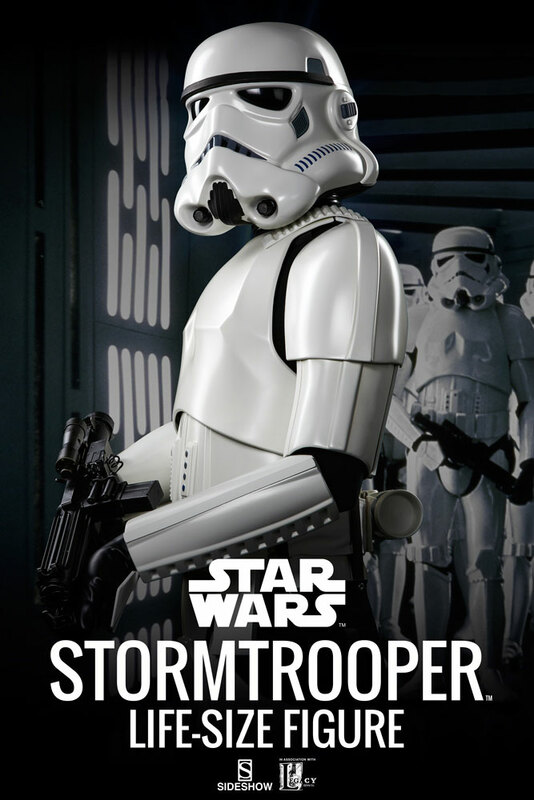 Made of fiberglass, resin, high-quality plastic, metal and fabric, Sideshow’s Life-Size Stormtrooper Figure is the ultimate addition to any Star Wars fanatic’s collection, making it the perfect centerpiece while on display alongside the rest of your Star Wars action figures and toy collectibles. 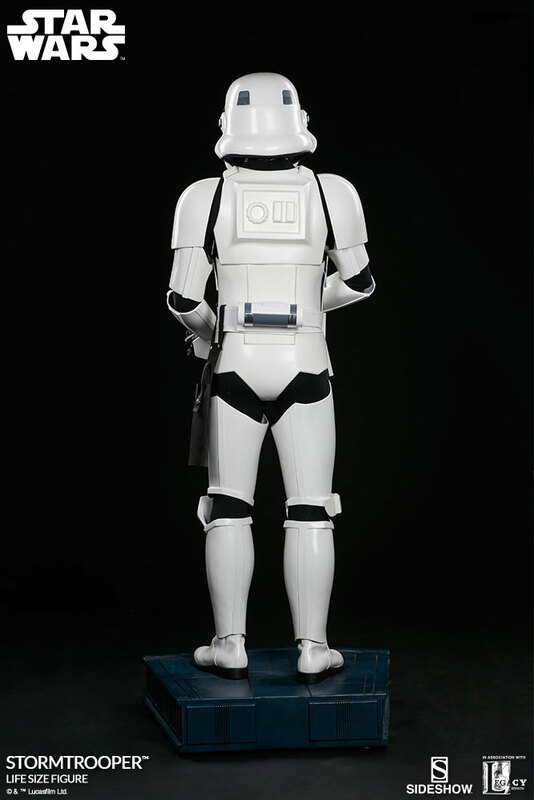 If you have $8,000 burning a hole in your pocket or stashed between the cushions of your couch, this super-sized Stormtrooper statue can be yours as of Summer 2017, available for pre-order at Sideshow.com.